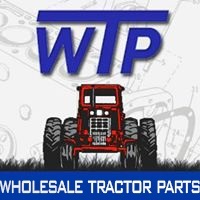 Half Shaft Tractor Tube Assembly, 1-3/8" x 21 Spline Tractor Yoke, Front Tube Half Fits 1-5/16" x 20 Spline Shaft, Category 4. For Models 447, 457, 468, 469, 547, 557, 568, 569. 1-3/8 21spl tractor yoke, CV tube fits 1-3/8” 20 spline shaft. Fits the following John Deere Models: 447, 457, 468, 469, 547, 557, 568, 569.